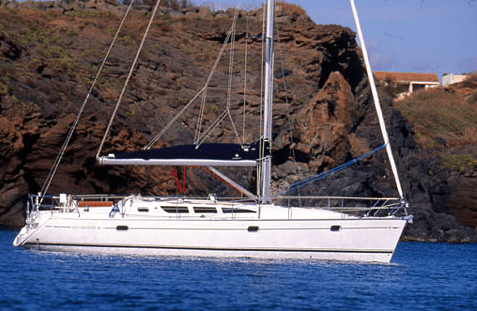 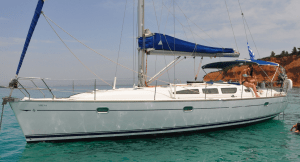 Lovely Jeanneau 40.3 with two large double staterooms and one head/shower, this lovely new design from Jeanneau, France, is the perfect yacht for one or two couples or a small family, and the proud owner has spared no expense in equipping her to the highest standards. 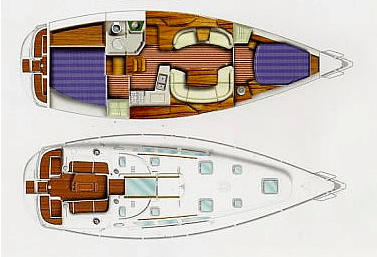 She has a thoughtfully-designed, well-sheltered cockpit (large bimini and spray dodger) with plenty of space and easy access to the water via a drop-down helmsman’s seat and swim platform. 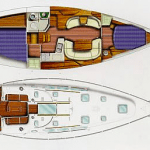 Cabins are spacious and well ventilated and the large saloon will comfortably seat 6 to 8 people. 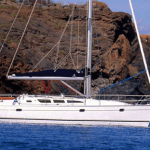 Her sailing performance is excellent and, in spite of her size, she is easily handled by just one or two crew.